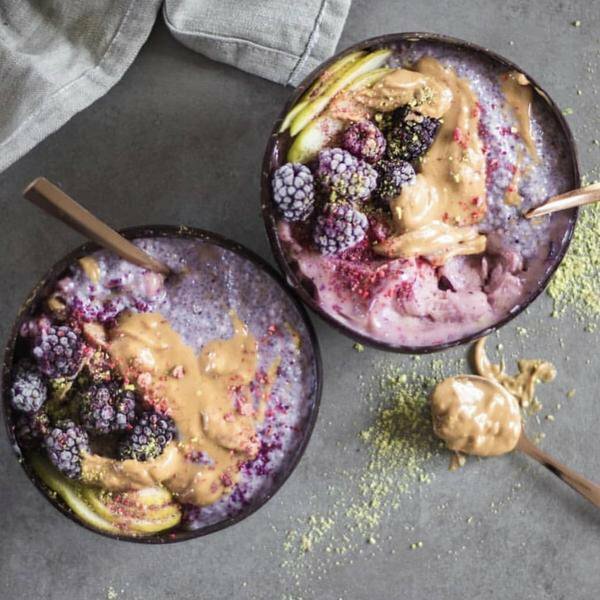 5 Of The Best Peanut Butter Smoothie Bowls! Coming to you fresh from the blog of our good friends at Coconut Bowls are 5 of the best peanut butter smoothie bowls you ever will see! 😍 Delicious, healthy and simple recipes put together by a bunch of incredibly talented foodies - it doesn't get any better! We've reposted these amazing creations below for you so scroll on down for a guided tour through flavour-town! 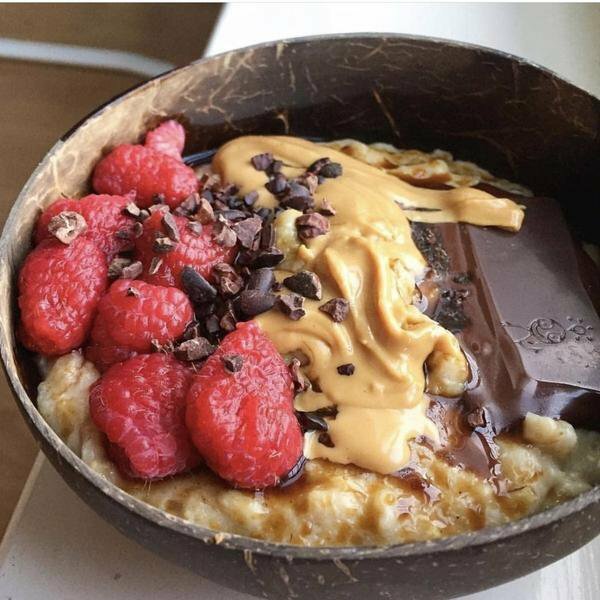 If you're feeling inspired, head over to www.thebircherbar.com.au to get your own coconut bowl as well as the best peanut butter you'll find! First up we have this incredibly delicious bowl of oats, contributed by @cleansupperclub_. If this doesn’t have you jumping out of bed we don’t quite know what will! It is packed with nutrients to keep you feeling full, nourished and satisfied. Take it to the next level by topping with melted raw chocolate, fresh fruit, coconut flakes and a light sprinkle of cacao powder. Combine oats and milk in a saucepan and cook over medium heat for about 5 minutes. peanut butter and maple (add more liquid if required). This divine looking smoothie bowl contributed by @paleolife_pl is consistency goals. Living proof that healthy is far from boring! Don’t forget to go wild with toppings... We’re talking lathers of pb, chopped raw chocolate or cacao nibs and crushed nuts. Is there anything peanut butter doesn’t make better? 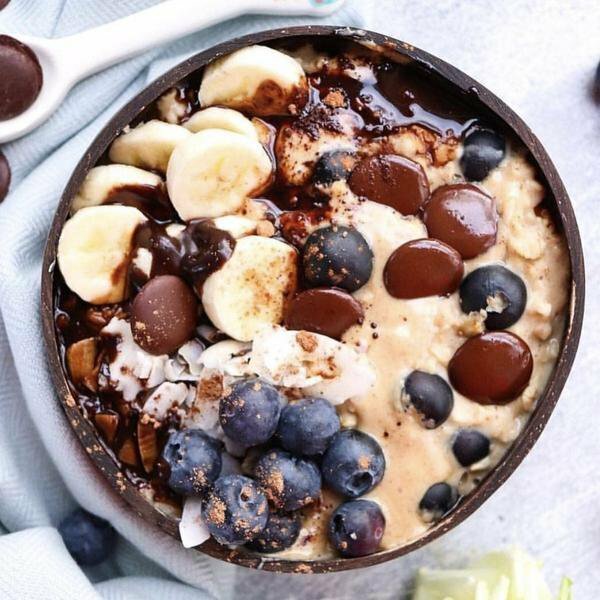 As much as we love chocolate and PB for a dessert-like breakfast, sometimes it’s great to mix it up by adding pb to berry flavoured bowls like @addictedtodates has done here. The chia pudding needs to be prepared the day ahead to allow the seeds to swell, ideal for those busy weekday mornings. All you need to do is add a dollop of pb, fresh berries and voila! Combine all ingredients (except chia seeds) in a blender, blend until smooth. Place chia seeds in a large mixing bowl and fold in the blackberry mixture. Divide between coconut bowls and place in the fridge overnight. Serve with fresh berries and a generous dollop of peanut butter. Raspberries, PB and chocolate... 3 of life’s greatest wonders. This delicious recipe was contributed by @sunshine__susan showing us yet another great way to use peanut butter in porridge. Keep the oats simple and then load up with toppings... This includes (but is certainly not limited to!) a generous serve of smooth peanut butter, melted raw chocolate, cacao nibs, raspberries and a drizzle of maple syrup. Combine oats, milk and water in a saucepan and cook over medium heat for about 5 minutes. Then reduce heat and cook for a further 5 minutes, adding peanut butter and maple (add more liquid if required). Transfer to coconut bowl and top with fresh raspberries, peanut butter, cacao nibs and/ or melted raw chocolate. It would be an absolute crime not to try this drool-worthy (and completely clean!) 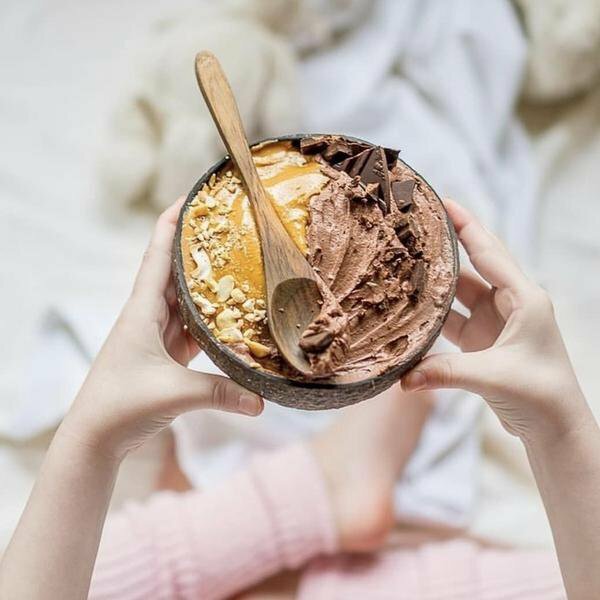 PB ice cream by @unsweetened.caroline. 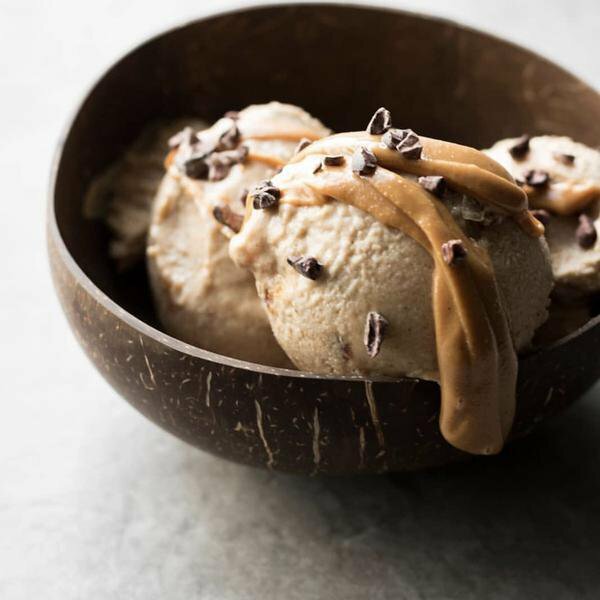 It’s the ultimate alternative to dairy ice-cream that is just as flavoursome, much more satisfying (because it actually contains nutrients the body can use) and just all round better! Make sure you drizzle with extra PB because... why not! Transfer to a dish (I use a bread pan) and freeze overnight or for at least 12 hours. Serve with a drizzle of peanut butter and chocolate chips (or cocoa nibs) if desired.